(AFP) — BAMAKO, Mali — Jihadist gunmen angered by Chad forging ties with Israel killed 10 Chadian peacekeepers and injured at least 25 others in an attack on a UN camp in northern Mali on Sunday, one of the deadliest strikes against the UN mission in the West African country. 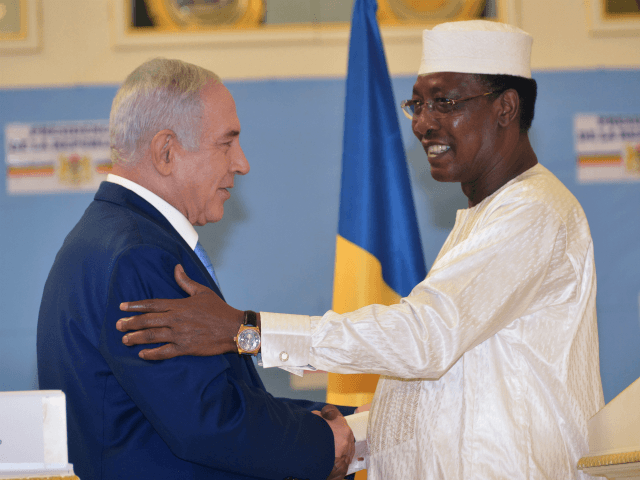 Netanyahu flew to Chad for a single-day visit Sunday, re-establishing ties with the Muslim-majority country after 47 years. Netanyahu called the move ” a breakthrough into the heart of the Muslim world,” and lauded the fact that there was no opposition. Israel has in recent years established or upgraded ties with a number of African countries, including with Guinea, which neighbors Mali. UN Secretary-General Antonio Guterres strongly condemned what he described as a “complex attack” on the peacekeepers camp in Aguelhok, in Kidal region and called for the perpetrators to be brought to justice. The gunmen struck early Sunday at the Aguelhok base 200 kilometers (125 miles) north of Kidal and towards the border with Algeria, according to a source close to the MINUSMA mission. On Sunday, France’s Defense Minister Florence Parly told French radio that the G5 Sahel anti-jihadist force in the region was resuming its operations. But the accord has failed to stop violence by Islamist militants, who have also staged attacks in neighboring Burkina Faso and Niger.